We teamed up with our buds at kr3w Denim to get out our second OFFICIAL mixtape! It’s got new music and some a smattering of songs that we put out this year. Brand new never heard before tracks from the forthcoming Electric Citizen and Mondo Drag records! This is a FREE download so grab it, rock it, and tell a friend. 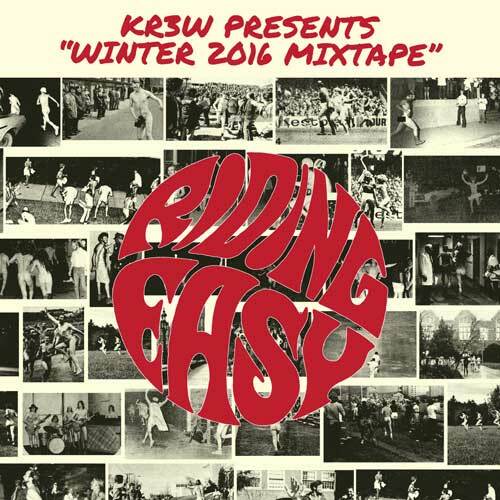 RidingEasy Winter 2016 Mixtape. Presented by KR3W, the mix features new, unreleased tracks from forthcoming albums by Electric Citizen and Mondo Drag. The 14-song set also includes tracks from many RidingEasy bands with releases in 2015, like Monolord, Sons of Huns, Slow Season, Spelljammer, Holy Serpent and more. Limited edition CDs will be available FREE with orders at the top of 2016 while supplies last via ridingeasyrecords.com and distributed at skate shops throughout the USA, Japan, Europe and Australia. Available for free download now! Sorry, but, am I being stupid? I don’t understand where and how to download this mixtape. Is there a link? How do you download it? I keep getting taken to soundcloud. Would loove to have this. Any help? Click on “RidingEasy Records” next to the orange play button in the upper left corner. It will take you to their main Soundcloud page where the downloads are.